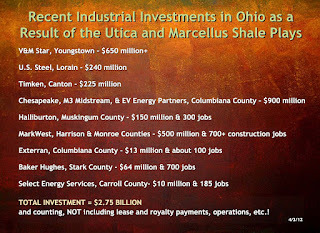 Last Friday, I wrote about the Utica Shale Play in Ohio and the unevenness among counties in Eastern and Central Ohio when it comes to a community sense of the "boom" from the industry. The maturity of the play and the activity in it are factors in formulating that community sense of whether the industry is accelerating or coasting. There's more to it. The economic impact is uneven too. 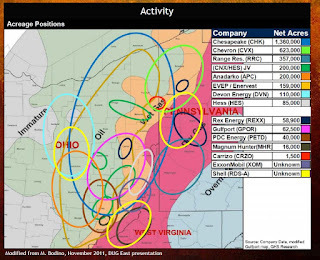 The map above shows, very generally, where lease and royalty activity is concentrated in Ohio. Though my home county, Licking, is seeing some lease activity, this map shows it is limited compared to our eastern counterparts. Not surprisingly, too, the direct capital investments in Ohio that are non-lease related are also happening more often in the areas with more real activity. 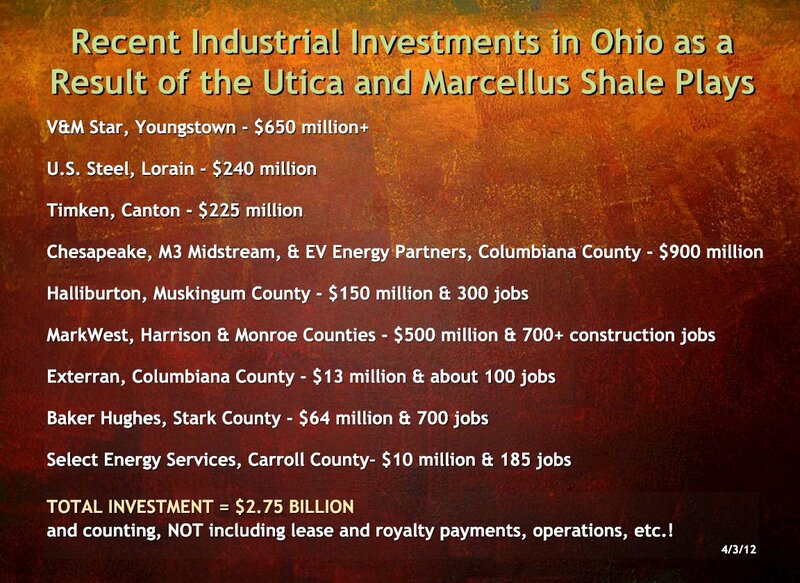 ODNR cites $2.75 billion in recently undertaken or announced capital investment in Ohio related to the shale plays. See the chart below. Nonetheless, there's hope for places like Licking County. The play is here. It's just going to play out a little later or have to wait for related industries to find their way here to take advantage of proximity and enjoy lower cost energy sources. We need to have some patience and prepare to seize the opportunity when the timing is right. Our day will come too, though. It will.